Home Software How to Downgrade from New Windows Live Messenger to MSN? Fortunately, there are indeed things that users of this messenger application can do. Here is proper way how to downgrade from new Messenger to an older version. These things usually include uninstalling the messenger application — this can be done with the help of ZapMessenger, downloading and installing the MSN Messenger application. However, before users will finally be able to use an older version of Windows Messenger, they will have to alter the version number that the executable file comes with. So, as mentioned earlier, users will have to remove their currently installed messenger application. This is the first step that needs to be accomplished in the process. 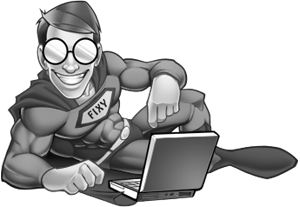 To do this, users can access the Control Panel of their Windows operating system. Then, they can go to Programs and Features where they will see a list of programs that are currently installed on their system. All they need to do then is simply to select the messenger application and click the uninstall button. At this stage, what will be necessary is to have the installer files for an older version of the Windows Messenger otherwise the users will have to use the latest 2011 version of the messenger again. This is because Microsoft only officially supports the latest version as of now. 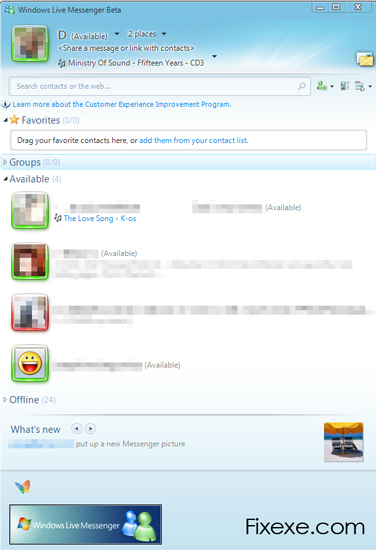 Fortunately, there are links to the older versions of the Windows Messenger application. Here you can download (mirror 2) it . These are both standalone installer files and they are about 135 MB in size. With either of the installers, users will no longer have to find individual files such as the crt.msi, dw20shared.msi, SegoeFont.msi, Contacts.msi, wlc.msi and Messenger.msi. The first link given above is for Build 14.0.8089.726 and the other one is for Build 14.0.8117.416. The latest build of the two is the Build 14.0.8117.416 but, unlike the other build, it does not have the option to show user’s webcam. When users have finished installing the build of their choice, they will most likely run across an error asking them to update their messenger application version. If they choose to update, they will get the 2011 version again — which they do not want in this case — and if they refuse to update, they will be unable to sign into the application. Yet, thanks to a tool called “Messenger Link Reviver” by Jonathan Kay, users are able to go against the update that Microsoft seems to be forcing to its Messenger users. This tool enables users to sign in normally and use the 2009 version of Windows Messenger without problems. Have you ever thought about craentig an e-book or guest authoring on other sites? I have a blog centered on the same topics you discuss and would really like to have you share some stories/information. I know my viewers would value your work. If you are even remotely interested, feel free to shoot me an e-mail.